In December of 2012, CBS News published an article warning parents about a surprising risk that their kids are facing: the risk of falling furniture and televisions. According to the article, a report from the Consumer Product Safety Commission had revealed that a record number of children in the United States had been killed in the past year by a TV tipping over. Our Boston personal injury attorneys want parents to be aware of the dangers that falling TVs and other furniture can present to kids. We also urge anyone having children in their home as guests to provide proper supervision and ensure that TVs and large furniture are secure in order to avoid potential legal liability for the injury or death of a child. 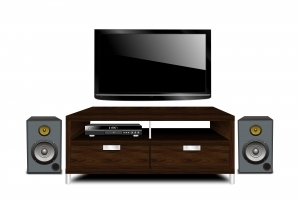 43,000 people are injured every year as a result of television or furniture tipping over. More than 25,000 of those people injured by a tip-over incident are children. Between 2000 and 2011, there were 349 deaths as a result of a television, appliance or piece of furniture tipping over. 84 percent of the deaths were children 9 years old or younger. Televisions were the most deadly, as 62 percent of the 349 tip-over deaths were caused by a television. 41 deaths, a record number, occurred last year due to tip-over incidents. Based on this data, an average of three kids are injured every single hour by a tip-over incident. In total, 71 kids per day are injured and one child every two weeks is killed by furniture, appliances or TVs tipping over. Tragically, many experts indicate that the problem may become even worse in the future. The issue is that many older and heavier televisions are being replaced by newer and thinner models, with the old TVs relegated to bedrooms or basements where they may not be secure. A large TV placed in a child’s bedroom, for example, could be cause for disaster. Accidents Can Happen, But Safety Steps Need to be Taken Many of the children who are injured or killed in tip-over accidents get hurt as a result of playing nearby the TV or furniture; or because they are climbing on the furniture. It is up to parents or to individuals supervising the children to make sure that this does not occur. Parents should also ensure that they have anchored their television and that heavy furniture and appliances are attached to the wall or floor so kids cannot get hurt. Anyone inviting children into his or her home should also be aware of the potential for a premises liability lawsuit or a negligent supervision lawsuit if a child is injured as a result of a television or other item in your home tipping over. If you or a loved one has been injured in an accident in the Greater Boston area, contact the Law Offices of Jeffrey S. Glassman, LLC for a free consultation. Call 1-877-617-5333.